…I just found out that bestselling author K.N. 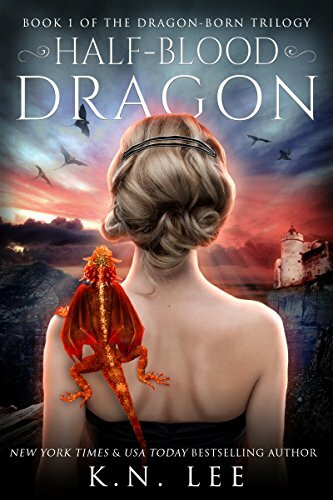 Lee’s book, Half-Blood Dragon, is FREE today, and currently ranked #14 on Amazon. I featured it several weeks ago, and many of you bought it; here’s a chance for the rest of you to find out what all the hype is about. 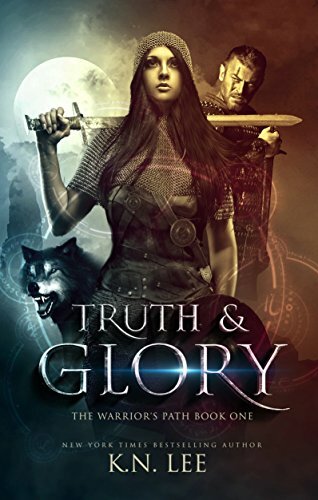 Another one of her books, Truth and Glory is on pre-order sale for 99c. Pirates, dragons, mermaids. Embark on a coming of age journey that will leave you breathless. A lady-in-waiting’s job is to follow orders. For Rowen, it is to execute her stepfather’s plan to elevate the family’s station by an advantageous marriage to the crown prince. Intrigue and seduction fill Rowen’s days, but the prophecies that haunt her dreams at night warn her that death awaits. It will take a stranger from the shadows to save Rowen from execution and reveal a truth full of terrifying potential. It is time for Rowen to find the courage to accept her fate, awaken her gift, and set the world on fire. For Nala, the forgotten gods are more than a memory. They are her ancestors. After escaping the great purge of magic as a child, her new reality is almost worse than death. Along with the young man who saved her life, Nala must walk the Warrior’s Path and prove herself to the Great Fenrir clan who took her in as a child. Brutal training fills her days, while her nights are spent controlling the magic within and hiding it from those who fear and hate it. In a clan of an ancient race of wolves, Nala will do anything to escape the watchful eye of those who killed her people. There is one way to prove herself to the king of her new clan. She must become a magic eradicator, and hunt the last of her race. In this sprawling epic fantasy novel with shifting wolf hybrids and mermaids, Nala’s first battle is for more than her life and love. It’s for her soul. Join New York Times bestselling author, K.N. Lee on an adventure perfect for fans of Vikings and Game of Thrones.